Home · News, Uncategorized · 2018 WCRP Christmas Party! 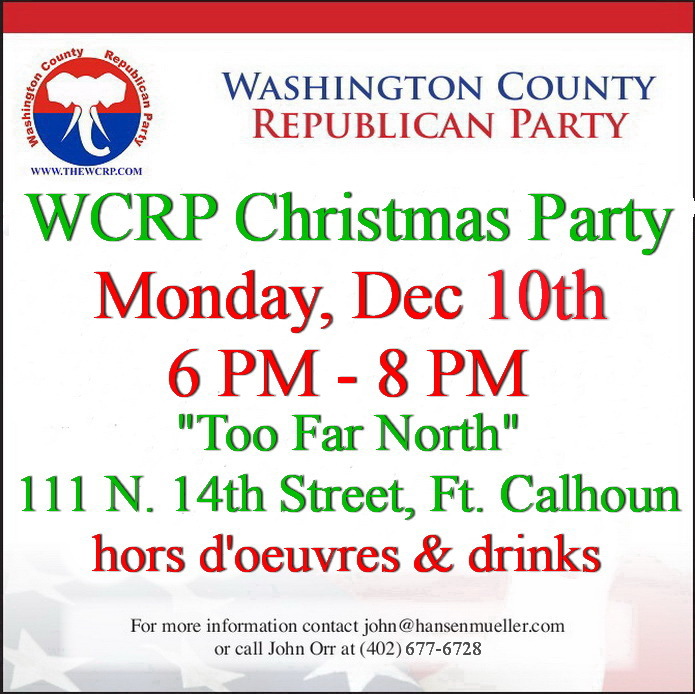 Please plan to attend the Washington County Republican Party’s 2018 Christmas Party at Too Far North in Ft Calhoun. The event is free and the first round of drinks is covered. There will be festive party food and appetizers provided by WCRP members. Please feel free to bring some food if you want.